Fans of Oliver Twist are invited to experience a brand new contemporary dance show at Storyhouse, which casts a new light on the classic Dickensian tale. Tony Adigun’s Fagin’s Twist is the untold story of a notorious and complex villain. It’s a tale you think you know, until it unravels and explodes. Fagin’s Twist can be seen for two nights at Storyhouse in Chester on Friday 2 November and Saturday 3 November. Performances start at 7.30pm. Performed through a contemporary hip hop style, the show is presented by Avant Garde Dance and The Place. 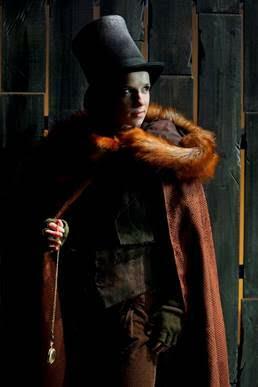 The show imagines Fagin’s youth, driven by greed and ambition in the face of overwhelming poverty. The streets are a place of little comfort, and fairytale endings are hard to find in this poignant coming-of-age tale. Audiences will see Charles Dickens’ Oliver Twist in a new light as Tony Adigun’s Avant Garde Dance flips your expectations of five familiar characters, with their unmatched contemporary hip hop style. Tony Adigun is an internationally recognised artist who has recently choreographed for Cirque du Soleil, Paloma Faith, and Sky One television programme, Got To Dance. Avant Garde Dance is also celebrating success this year – as the company enters Arts Council England’s National Portfolio for dance. Fagin’s Twist is commissioned by Theatre Bristol, East London Dance, Pavilion Dance South West, Dance East and The Place, and co-produced by The Place. Supported using public funding by the National Lottery through Arts Council England. Tony Adigun is a Work Place artist. The show is suitable for audiences aged eight upwards. Storyhouse has a dynamic pricing policy on the majority of shows, ensuring the earlier you book your tickets, guarantees the best seats at the lowest price. Tickets range from £18 to £21.50, and £14 for under 16s.